There really doesn't seem to be much of a difference here at all. Both platforms seem more than capable of handling this last-gen game. I'm sure the PS4 version has the edge in terms of how things run overall, but hopefully Switch players are in for a smooth experience throughout. First 4 Figures has a number of different statues in the works, including Amaterasu from Okami. Check out the videos above to see how things are coming along! Ken, Ryu, Chun-Li, and the entire cast of Street Fighter II are absolutely legendary among gamers. While they might not have the expanded reach that characters like Mario or Sonic do, you'll be hard-pressed to find a gamer who doesn't know these fighters. Their creation is thanks to Akira “Akiman” Yasuda and Akira Nishitani, two Capcom employees tasked with filling out Street Fighter II's roster. In a newly-translated interview that was originally conducted in 2003, Yasuda sheds some light on how the creation of these iconic characters came about. Check out a blurb on the creation of Chun-Li below. Nintendo has put out a slick promo video to spread the word on the Daisy, Young Link, and Ken amiibo. I know I shouldn't buy these, and I don't have anymore room for them, but I know I'll end up grabbing them randomly one day. Which ones do you plan on picking up? The latest episode of Capcom TV gives us nearly an hour's worth of footage for the upcoming Dragon's Dogma: Dark Arisen. While we might not know what the team is saying, we can at least enjoy all the gameplay footage! Capcom has already announced an update for Phoenix Wright: Ace Attorney Trilogy. The update won't hit until August, but it'll include quite an update to the languages the game supports. The update will include translations in German, French, Korean, Traditional Chinese, and Simplified Chinese. Coming to the Nintendo Switch on May 21, 2019, Resident Evil Origins Collection includes remastered versions of the critically acclaimed Resident Evil and its popular prequel, Resident Evil 0. 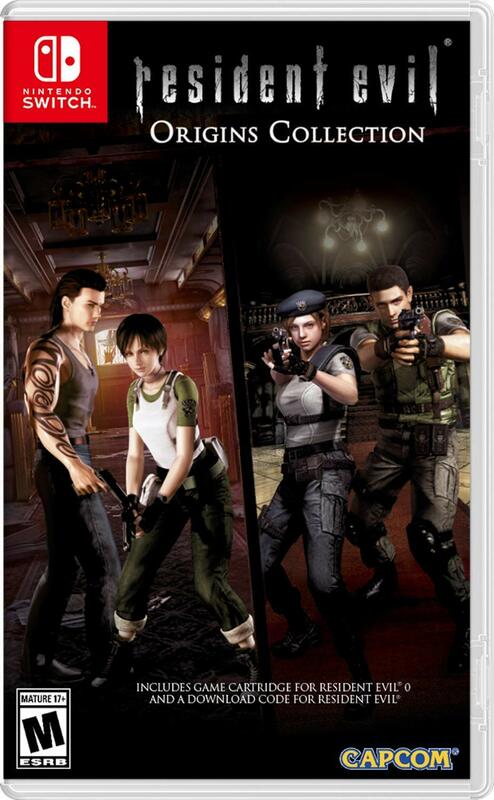 Both fans of and newcomers to the Resident Evil series, having sold over 88 million units to date, can experience the origins of the Resident Evil saga at home or on the go. The story in Resident Evil Origins Collection takes players back to July 1998. In Resident Evil 0, Raccoon City's Special Forces division, S.T.A.R.S., has sent its Bravo team to investigate mounting and unusual murders on the city's outskirts. Rookie S.T.A.R.S. member Rebecca Chambers teams up with death row convict and ex-Navy lieutenant Billy Coen in order to survive the nightmares that await them. Resident Evil takes place immediately afterward and players take on the roles of either Chris Redfield or Jill Valentine, as they are forced to take shelter in a mysterious mansion filled with unimaginable horrors. Both games contain limited ammo and survival items, and players will need to keep their wits about them to survive nefarious traps, puzzles, and the undead. I've never really seen a collection/compilation game that has cover art that I enjoy, and this cover continues that trend. It's just a basic mash-up of previous covers. It's lovely to see the games coming to Switch, but the cover art leaves a bit to be desired. 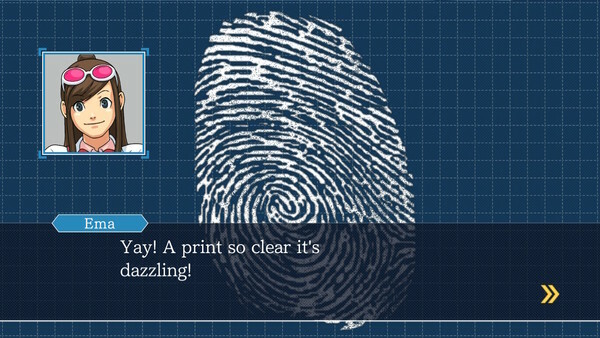 In the latest Ace Attorney Trilogy dev blog, we get to learn a lot about what goes into localizing games. 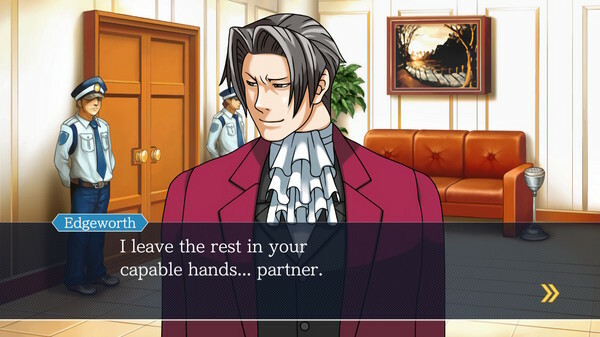 Obviously that job is extremely tough when working on something like an Ace Attorney game. Check out part of the blog below, then hit up the link for the full piece. Hello again! This is Janet Hsu, back one last time before Phoenix Wright: Ace Attorney Trilogy goes on sale next Tuesday, April 9th! Today, I’d like to talk a little about something that’s an integral part of any good translation: word choice. *Warning: Spoilers for the entire trilogy abound! *If you want to know more about everyone’s favorite interjection, “Zvarri!”, check out this entry. Much of what we infer about game characters is told through the nuances in the characters’ lines, which voice actors and their performances greatly contribute to in a voiced game. But in the case of a text-based game where there is no voice acting, word choices are the only tools a translator has to shape how a player perceives the characters and their growth. Complicating matters more for the Ace Attorney series is the extremely limited on-screen real estate we had on the Nintendo DS (we could only fit 28 letters x 3 lines worth of text at the time). This meant that each word we used had to pull its weight in establishing the characters’ “voices.” Those of you who have played the games before can probably attest to this, but you can pretty much pick out any line in the games and know which character said it based on the words and phrasing it contains. 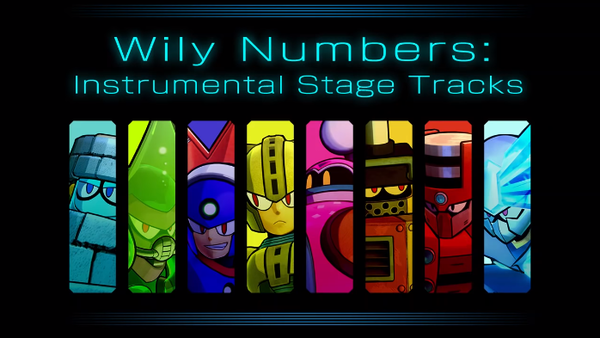 Those who preordered Mega Man 11 had access to special instrumental music tracks for the game's stages. Since launch, it was the only way to access those tracks. That changes today, as the 'Wily Numbers' tracks are now available for all to download. All you have to do is hit up the Switch eShop page for Mega Man 11 to grab the content for free.